New uPVC doors can completely uplift your Essex home. They offer superb style, enhancing the features of your property and adding to its character. Better yet, they are also fantastic for all round performance too. Bluemanor Windows offer the most competitive uPVC door prices in Essex. 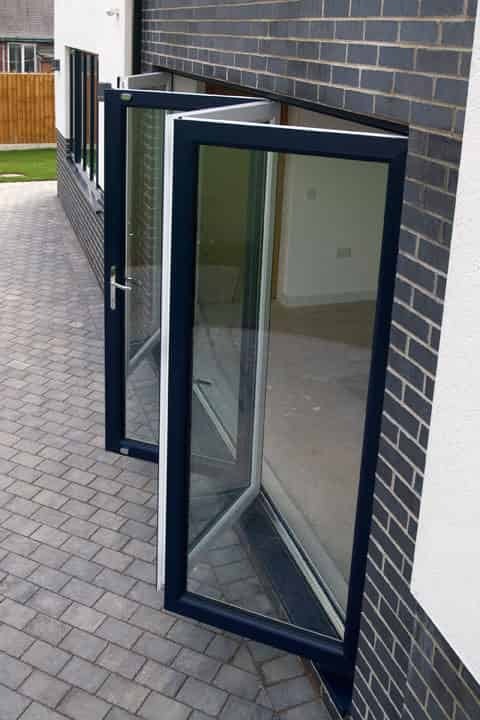 Here at Bluemanor Windows, our uPVC doors are of exceptional quality, and uPVC door prices unmatchable. Manufactured to the highest standards and incorporating the latest technology, every door in our range is high performance and long lasting. Why pay more for your uPVC door? This means that you will benefit from a long-term home improvement that will be a wonderful investment for your property. 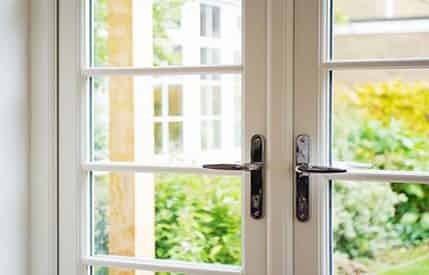 Take a look at our guide to uPVC door prices in Essex, and get ideas for your home improvements. One of the major benefits of any replacement double glazing is that it will enhance the thermal performance of your home. Our uPVC windows and doors in Essex are intelligently designed with clever multi-chambered profiles by Liniar. This ensures that heat loss is minimised and draughts and cold spots are eliminated. With our uPVC doors, your home will be warmer for longer, which is superb for making your home more cost effective. You will need to use less heating, and as such, your energy bills will be lowered. The superior performance of our Liniar uPVC doors is renowned throughout the industry and makes them a much sought after home improvement. Your uPVC doors need to keep your home secure, as really, that is their primary function. With our range, you will benefit from excellent protection. Each door is internally reinforced to ensure strength and stability, and we then fit our doors with high-security locking mechanisms too. Our locks are created by world-class locksmiths, Yale. You can count on impressive performance that is designed to last year after year, keeping you safe. In fact, with uPVC doors from Bluemanor Windows in Essex, you will benefit from the maximum protection available, giving you complete peace of mind. Out uPVC doors are stunning, there is no other word for it. They are crafted to the highest standards to ensure a beautiful, streamlined appearance. Each door is tailored to complement your home and your tastes too. You can opt for a colour finish from our tasteful range, or a natural wood effect with our woodgrain foils. You can even choose from a variety of decorative glazing options for more privacy and character. We even offer a full range of door furniture options so that the door we install into your Essex home is perfect in every way. Ideal for front doors and back doors, our uPVC panel doors come in a range of designs so that you can find your ideal look for your home. They are stylish and elegant and will enhance any Essex property, creating a welcoming and beautiful entrance. Our impressive composite doors excel in all areas and our highly sought after. They offer all the natural beauty of timber, yet they incorporate all the latest uPVC innovations. Composite doors are the ideal option for ultimate security and insulation for your home. Stylish and elegant, our French doors create a wonderful entrance to your garden or balcony. They are versatile and can be adapted for almost any space. These uPVC doors are a great choice for enhancing the character and charm of your Essex home. 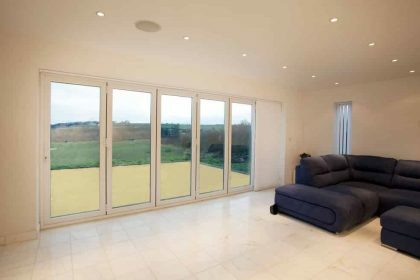 Creating superb views from your Essex home is so easy with our state of the art patio doors. They will enhance your property, flooding it with light and giving you easy access to the outdoors. They are a classic home improvement that features the latest technology and designs. For an exquisite entrance to your garden that will be a real feature within your home, our bi-fold doors are the perfect choice. 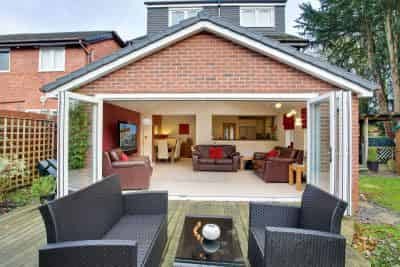 They offer a luxurious and seamless link between your property and your garden and offer so many new lifestyle opportunities. uPVC door prices are the most cost effective for Essex home improvements, and they offer superb value for money. Design your dream uPVC doors and get an instant price with our online designer. It’s easy to use and will enable you to find the exact door to match your tastes and your budget. You can also get in touch with our experts and see how we can help with your Essex home improvements. We will give you all the advice and guidance you need as well as a tailored guide price based on your specifications.